Nashville Ballet is celebrating 10 years of Nashville’s Nutcracker December 2-23, 2017, at TPAC’s Jackson Hall with all-new magical elements to mark the occasion. Since its world premiere in 2008, Nashville Ballet Artistic Director & CEO Paul Vasterling’s original spin on the classic has cemented its place as one of Music City’s most beloved holiday traditions. Nashville Ballet premiered The Nutcracker in 1989, but the production was reinvented as Nashville’s Nutcracker in 2008 with a unique concept incorporating Nashville’s vibrant past along with new choreography, sets, costumes and on-stage magic tricks. Now entering its 10th year, Nashville’s Nutcracker will debut additional elements to celebrate the milestone. Along with 54 members of Nashville Ballet’s professional dance company and second company, Nashville’s Nutcracker will feature a youth cast of 296 young dancers from School of Nashville Ballet and the community—the largest youth cast in the organization’s history. The local dancers, along with 60 members of the GRAMMY® Award-winning Nashville Symphony performing Tchaikovsky’s celebrated score, will transport audiences into a holiday dreamland filled with clever nods to Music City’s sparkly past, including well-known landmarks and characters. Beginning at the 1897 Centennial Exposition in Nashville, Clara and her Uncle Drosselmeyer meet a colorful cast of characters from faraway lands. When Uncle Drosselmeyer gifts Clara with a wooden Nutcracker on Christmas Eve, the toy magically transforms to life as a handsome prince and leads her through a remarkable adventure. Clara visits everyone from the Snow Queen to the Sugar Plum Fairy, including the spellbinding characters she met at the Exposition. When Clara finally returns home, the audience is left to decide if it was all just a dream—or not. Nashville’s Nutcracker is presented by 21c Museum Hotel Nashville, Google Fiber and RJ Young. 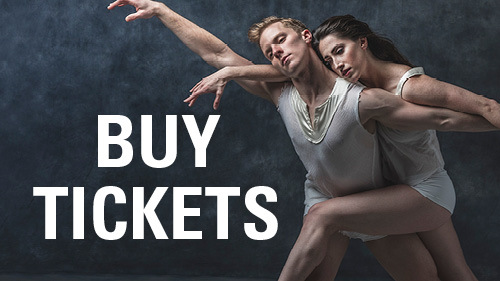 Tickets start at $35 and can be purchased in person at the TPAC box office in downtown Nashville, by phone at (615) 782-4040 or at NashvilleBallet.com. 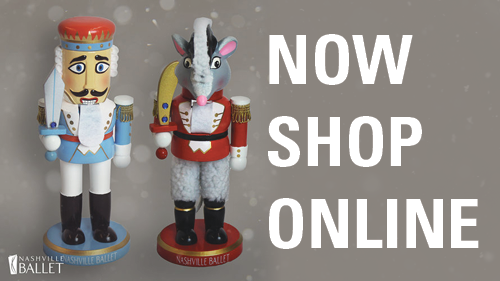 A complete performance schedule and more information can be found at NashvilleBallet.com/Nashvilles-Nutcracker-2017. Nashville Ballet is the largest professional ballet company in Tennessee. Nashville Ballet presents a varied repertoire of classical ballet and contemporary works by noted choreographers, including original works by Artistic Director & CEO Paul Vasterling. Nashville Ballet and the second company, NB2 (a pre-professional training company), provide more than 70,000 arts experiences to adults and children annually through season performances and its Community Engagement programming. Curriculum-based Community Engagement programs bring dance education to community centers, colleges, public libraries and public elementary, middle and high schools across the state. School of Nashville Ballet brings world-class dance instruction to students age 2 to 70. Nashville Ballet receives public funding from Metropolitan Nashville Arts Commission, Tennessee Arts Commission and the National Endowment for the Arts. Contributions from local, regional and national institutional funders and community partners, as well as hundreds of generous individuals, provide ongoing support of Nashville Ballet’s mission-critical programs.